Humidifiers are a must for the non-cooling time of the year in our area. The indoor relative humidity can drop as low as 10%-13% and there are a number of problems associated with low humidity. The EPA recommends 30%-50%. 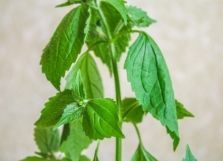 This can cause occasional nosebleeds, sore throats, and unnecessary discomfort and poor, restful sleep. Dry nasal passages and throats actually make your health defenses work overtime to defend against not only the common cold but even more serious wintertime illnesses. This a very uncomfortable condition because the itching is always associated with dry skin. Clothes don’t feel good, bedding doesn’t feel good and it seems you have to use much more lotion than the summer months. And on top of that, you don’t feel as warm. Our furniture costs a lot of money and needs to be taken care of. 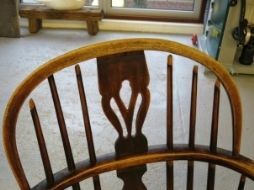 Low humidity will cause the wood in it to shrink too fast, which will cause the joints to loosen, break the glue and the joints will start to come apart. 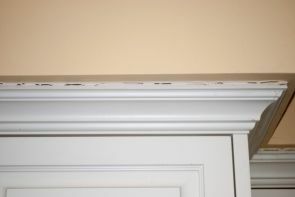 Trim wood, such as baseboard trim and ceiling trim, will dry, shrink and come apart at the joints and the wall as well. Having to make these repairs is costly and time-consuming. We all love and enjoy our plants and want them to thrive, be and look healthy. When they have to battle with low relative humidity they sometimes lose. Over the last 40 years, we’ve installed literally 1000’s of whole house humidifiers. We’ve only had a few people that didn’t like the result, which we were more than happy to honor our 100% Satisfaction Guarantee, take out the humidifier and refund 100% of their investment. The balance of those customers is more than satisfied with the results. Nasal passages & throats feel great all winter long. Many people actually have fewer colds and other wintertime disorders. And sleeping with properly humidified indoor air is fabulous. You will see a noticeable difference in the way your skin feels with dryness and especially in feeling warmer. The proper levels of humidity will not repair furniture or cause your trim wood to go back to the original size to close gaps but it will keep it from getting worse. Gary’s Heating and Air Conditioning offer a multitude of top-quality heating, cooling, and indoor air quality services to the Amarillo community just in time for spring. Feel free to call at (806) 318-1337 and ask for Jeremy or Mitchell or visit our website for more information! We understand HVAC and indoor air quality services can add up in cost. That's why Gary's Heating and Air Conditioning offers coupons and financing options to our valued customers. Reach out to our office today to learn more.